Are you planning a 4th of July party? 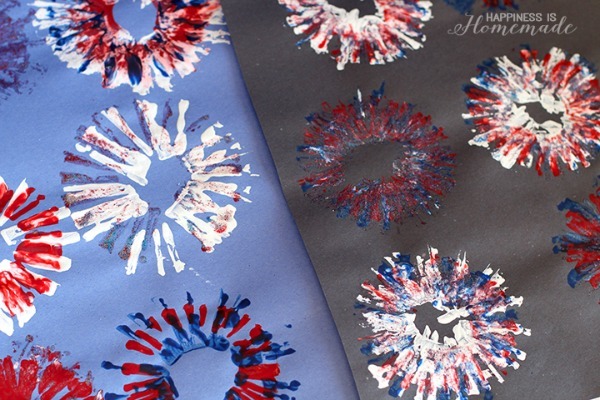 If so, get patriotic with these 4th of July party ideas! How do you show your red, white and blue on the 4th of July? By staging an amazing 4th of July celebration of course! Independence day will not be complete without red, white and blue flags and a summer party to remember. Your party will go off like fireworks with these easy 4th of July recipes, decorating ideas, activities, games, party favors, menu ideas, and more! Creativity is all you need to incorporate these 20 Fantastic Fourth of July Party Ideas for your patriotic party. And be sure to check out these 25 FREE Fourth of July Printables to add to your celebration. Here are some great red, white and blue recipes, crafts, games and activities that are perfect for your 4th of July party theme! 4th of July Party Idea #1: Looking for cool finger food ideas or 4th of July side dishes for your party? 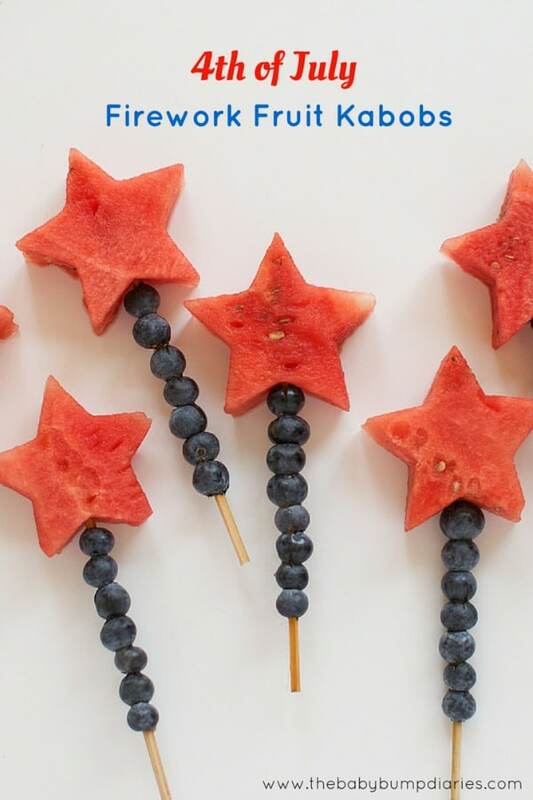 How about these fun 4th of July Firework Fruit Kabobs? They make for a fun and nutritious bbq food idea because they will go so well with all of your traditional 4th of July foods. Your guests will definitely love these yummy snacks. 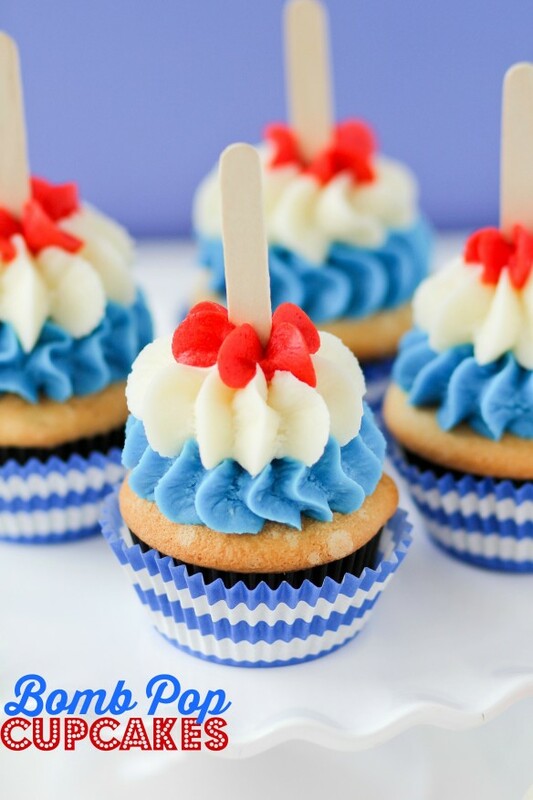 4th of July Party Idea #2: These Bomb Pop Cupcakes are one of the best 4th of July food ideas around! If you’re looking for something sweet and patriotic for your dessert table, these cupcakes are definitely perfect. 4th of July Party Idea #3: If your little one is having a Fourth of July birthday party, make it extra fun with this Captain America Kids Drink. They will surely love cooling off with this awesome superhero-themed drink. 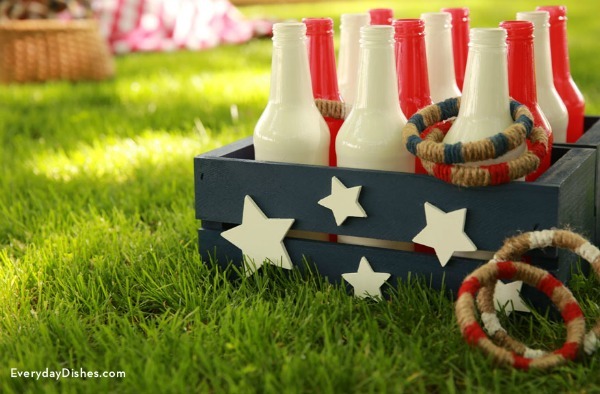 4th of July Party Idea #4: Need more summer party ideas? 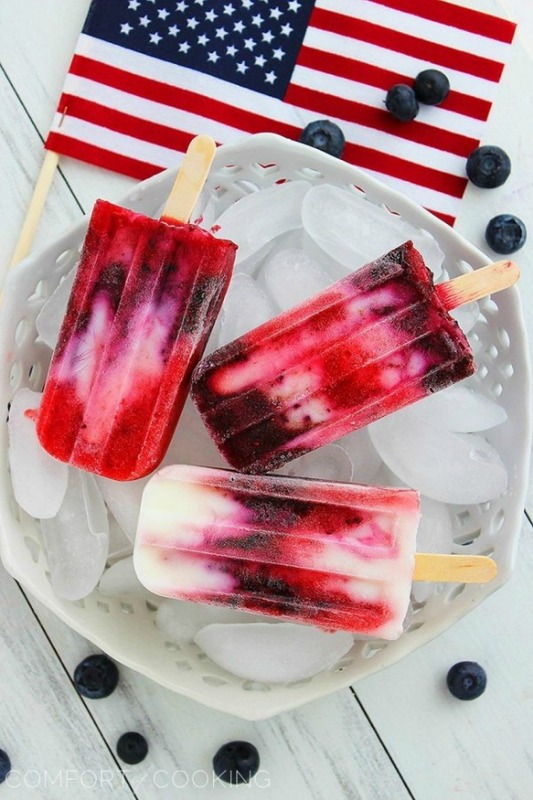 These Firecracker Berry Frozen Yogurt Pops will help everyone beat the summer heat! They are a healthy and beautiful alternative to boring, old ice cream. 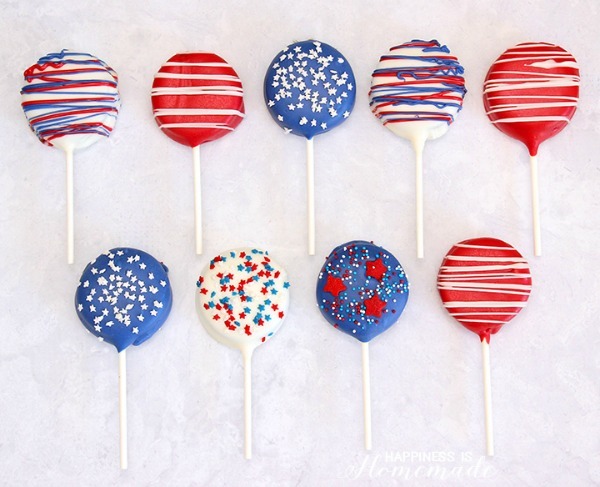 4th of July Party Idea #5: These Patriotic Oreo Pops will look great on your dessert spread! Exercise your creativity by decorating your own Oreo pops. You can even let the whole family join in on the decorating fun! 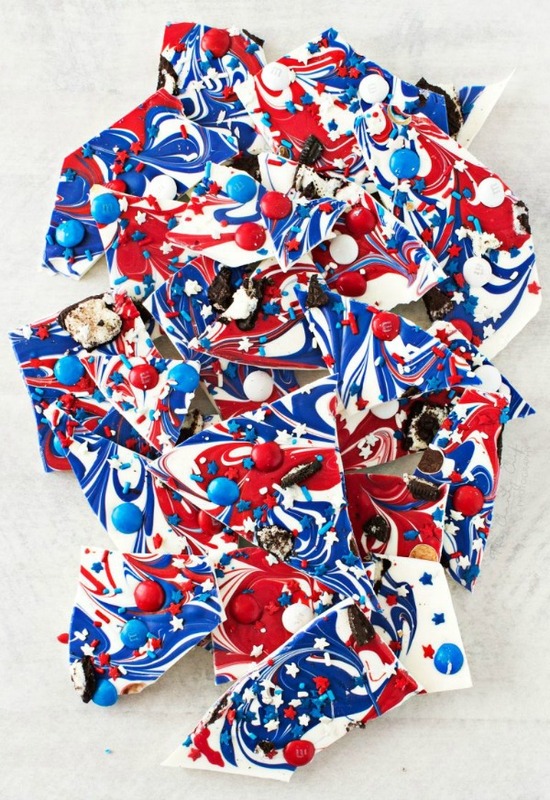 4th of July Party Idea #6: Check out how amazing this Red White and Blue Bark looks! This recipe is super easy, even kids can do it! All you need to do is melt some chocolates, buy some red, white and blue sprinkles and candy, and you’re all set to make this awesome 4th of July food. 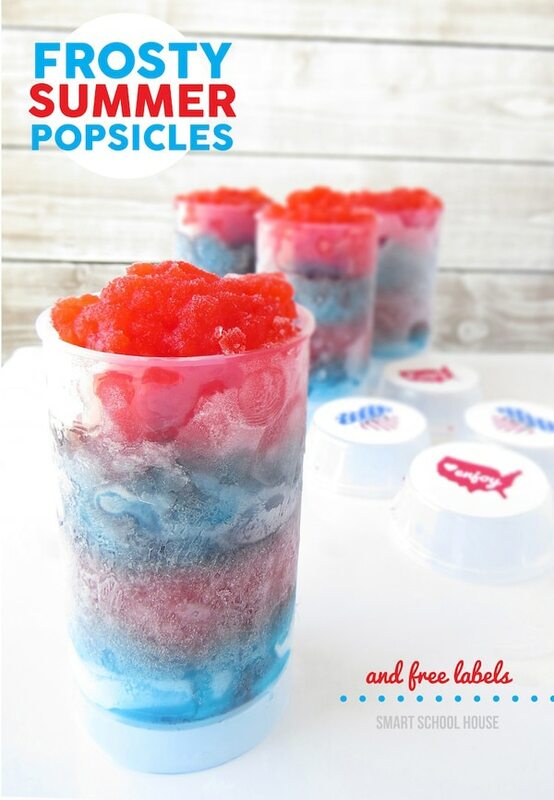 4th of July Party Idea #7: Can’t have too many frozen treats to cool off during your summer party, right? These Easy Patriotic Popsicles look so good, but they will only take a couple of minutes to prepare. 4th of July Party Idea #8: Give the kids some games and crafts to keep them busy before the firework show starts. 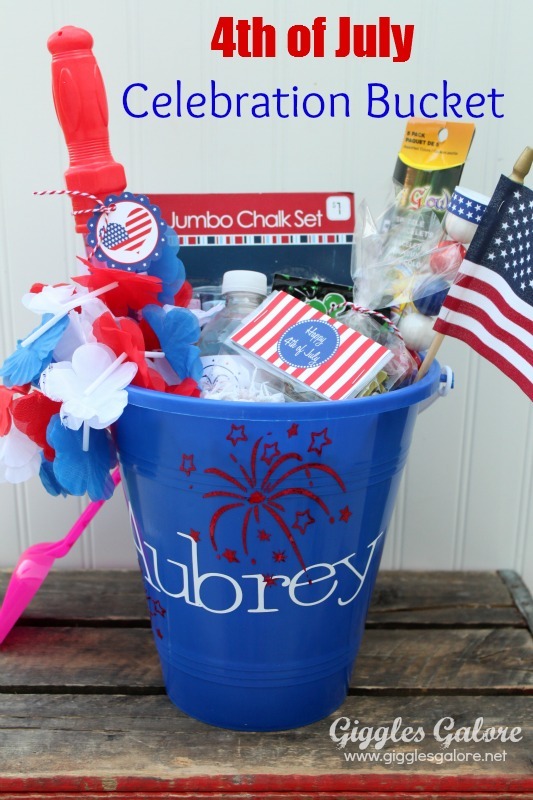 If you need ideas for 4th of July activities, this cool Celebration Bucket will surely do the trick. 4th of July Party Idea #9: Having 4th of July Slime for your party is definitely one of the best 4th of July party ideas! 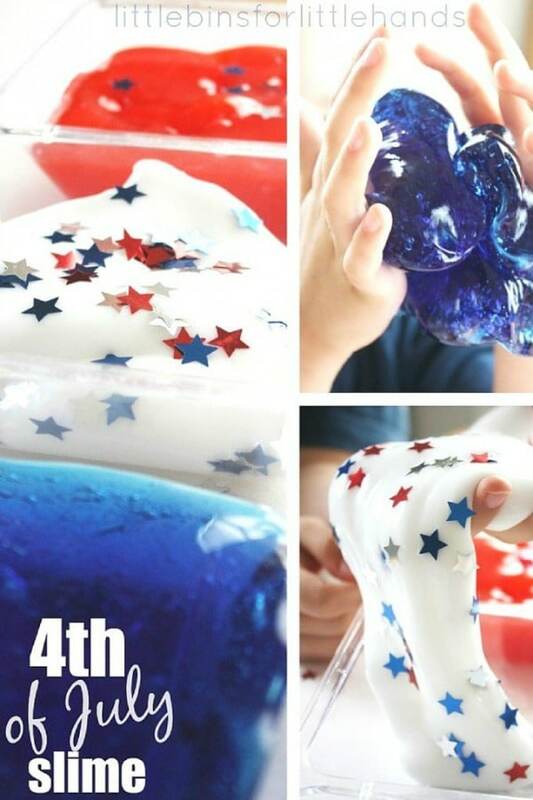 There’s no doubt about it, the kids will have a lot of fun playing around with this awesome patriotic slime. 4th of July Party Idea #10: How about some 4th of July games to get the party started? This American Bottle Ring Toss Game will definitely get the people going and cheering on their teammates. What better way to celebrate the 4th of July than with some fun, friendly competition? 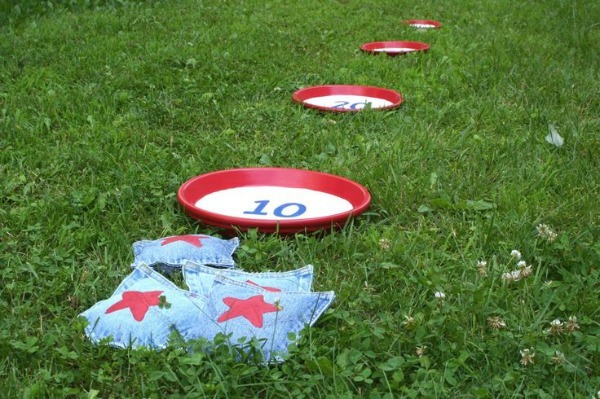 4th of July Party Idea #11: Add this Jean Pocket Bean Bag Toss to your list of fun things to do on the 4th of July, and you will definitely have a party to remember. Everything you need for this game is easy to DIY, so if you’ve been wanting to do some 4th of July crafts, don’t forget to try this one out. 4th of July Party Idea #12: Need more explosive 4th of July party ideas? 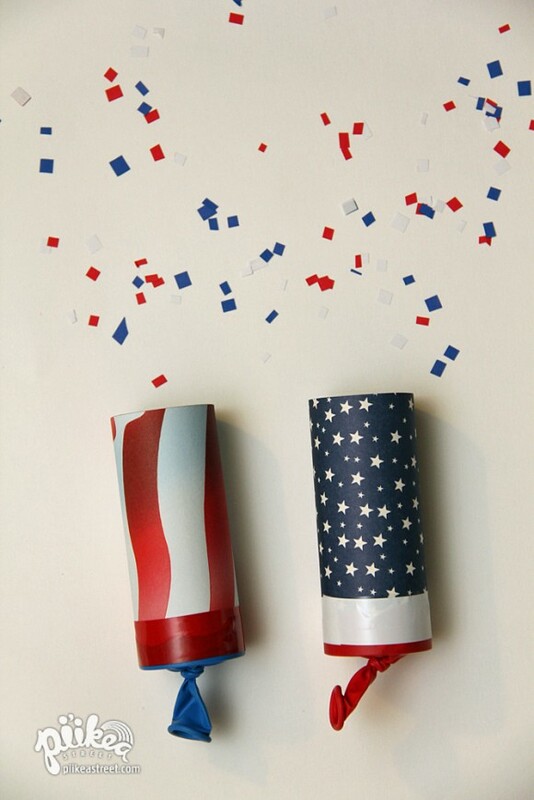 These Confetti Launchers will have everyone celebrating Independence Day in the best way. They’re easy to make yourself. All you need are some basic craft materials, some balloons, toilet paper rolls, and you’re good to go! Don’t forget to decorate them with the American flag to show off your patriotic spirit! 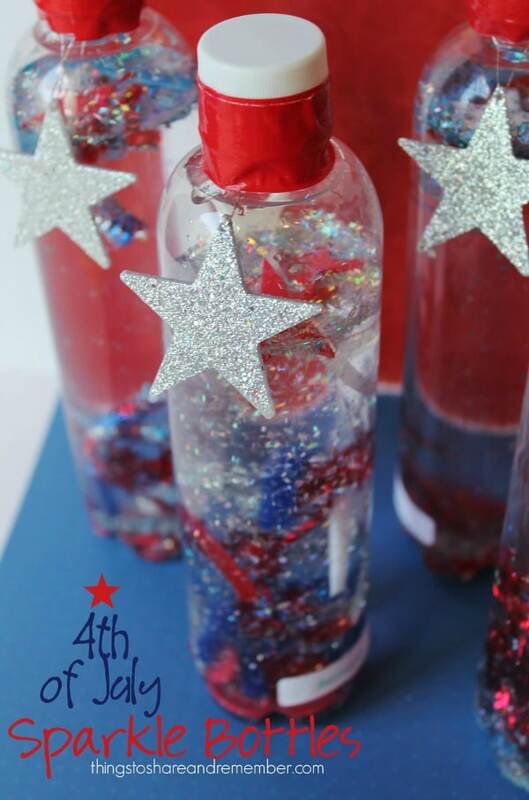 4th of July Party Idea #13: These 4th of July Sparkle Bottles are super easy to make. If you’re looking for DIY decor for your party, these are a great place to start. 4th of July Party Idea #14: Think you don’t have the skill to paint? These Painting Fireworks are so easy to do even for amateurs! Turn this into a craft for the kids to do to make it even more fun. 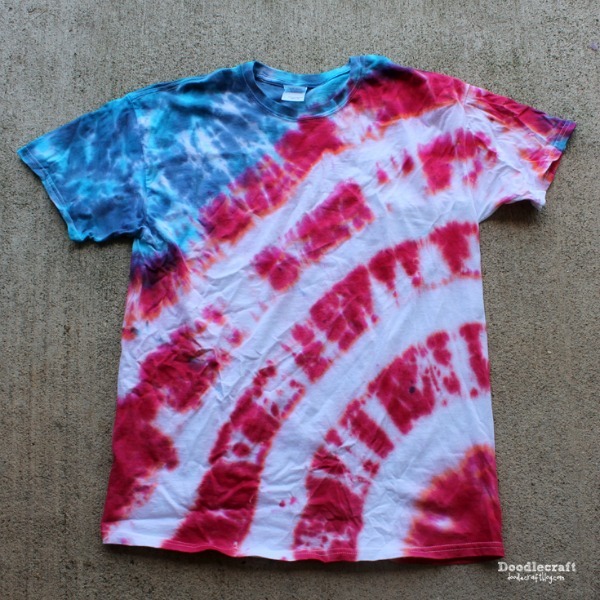 4th of July Party Idea #15: Wear your red, white, and blue pride with this Patriotic Tie Dye Shirt! You just need three items to make these shirts: a plain white shirt, zip ties or elastic, and some red and blue fabric dye. 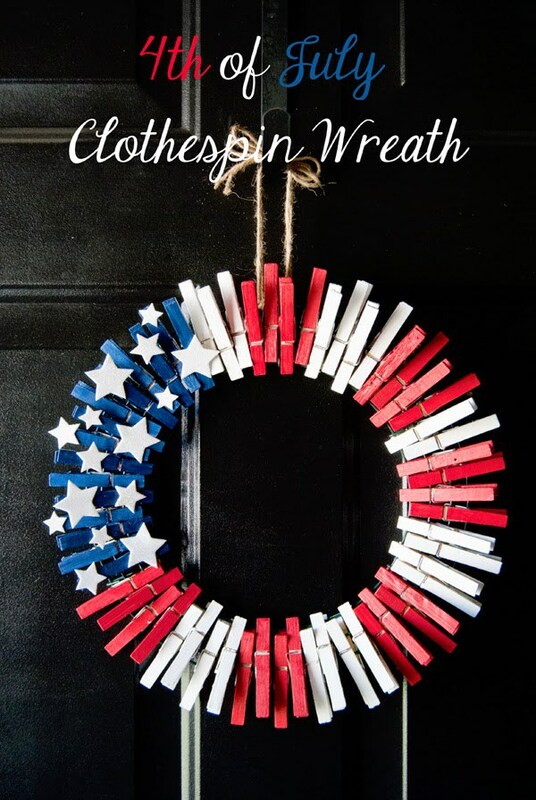 4th of July Party Idea #16: How beautiful is this 4th of July Clothespin Wreath? 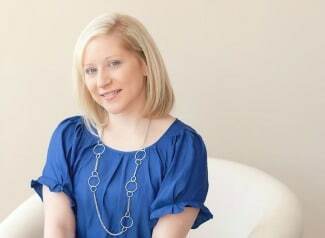 You wouldn’t think this is an easy DIY project at first glance! We love how it shows patriotism! 4th of July Party Idea #17: Want something rustic for your party? 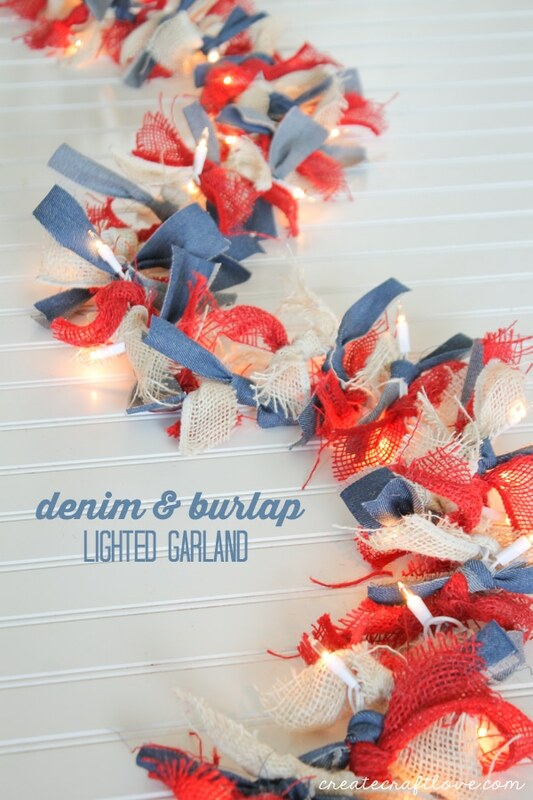 How about this Denim and Burlap Lighted Garland? It’s perfect for keeping the atmosphere nice even when your party goes well into the night. 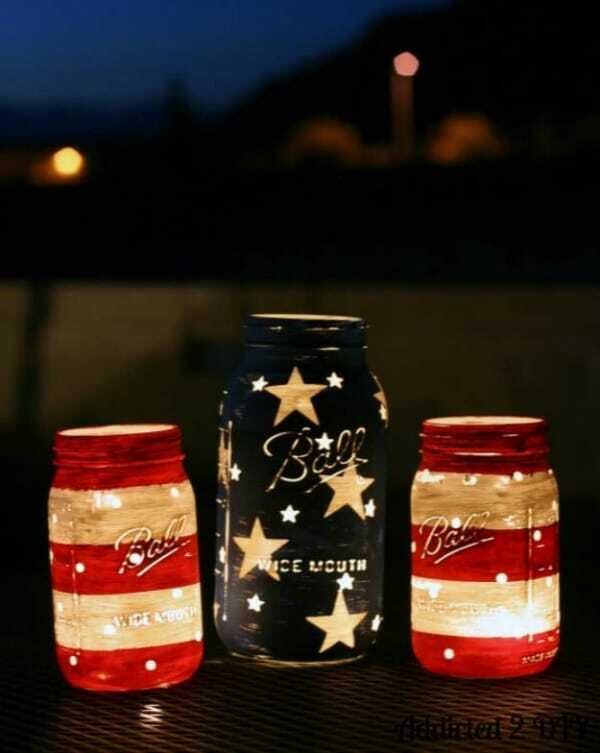 4th of July Party Idea #18: These Patriotic Mason Jar Lanterns will make great backyard decorations for your party. Light up your evening with these easy to make red, white, and blue lanterns for a night filled with fun and amazing activities. 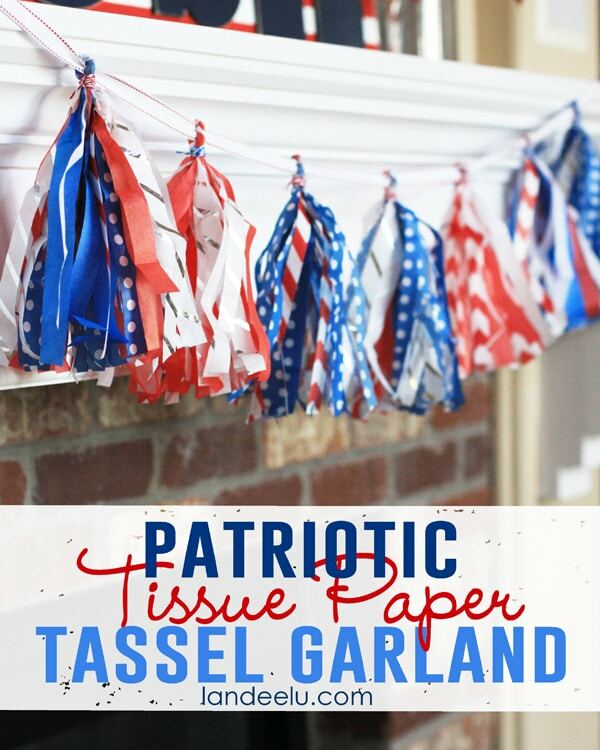 4th of July Party Idea #19: All you need is tissue paper, some ribbons, and some twine to make this awesome Patriotic Tissue Paper Garland. If you need something pretty but inexpensive, this decoration is your best bet. 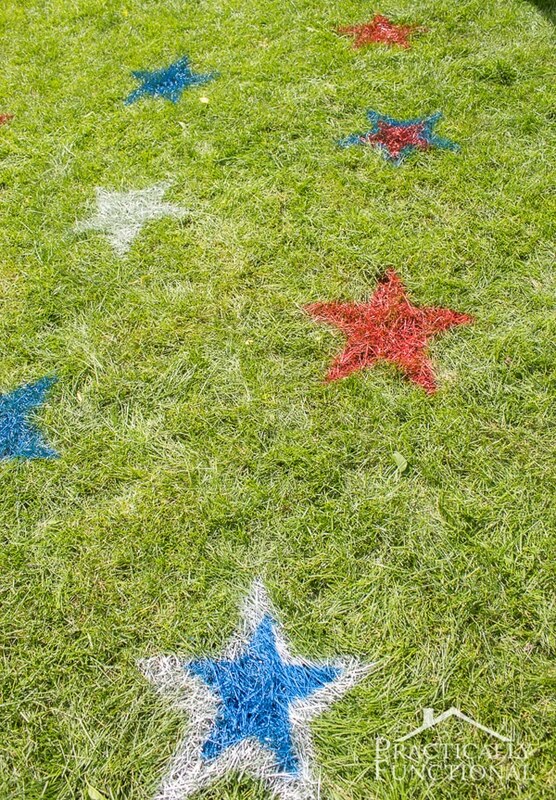 4th of July Party Idea #20: What better way to show your patriotism outdoors than to decorate with these DIY Painted Lawn Stars? To make sure your grass stays green after the party, keep the spray paint to a light dusting! We hope you have a fantastic time getting things together for the 4th of July, and that you’ll find some great uses for our 20 Fantastic Fourth of July Party Ideas. 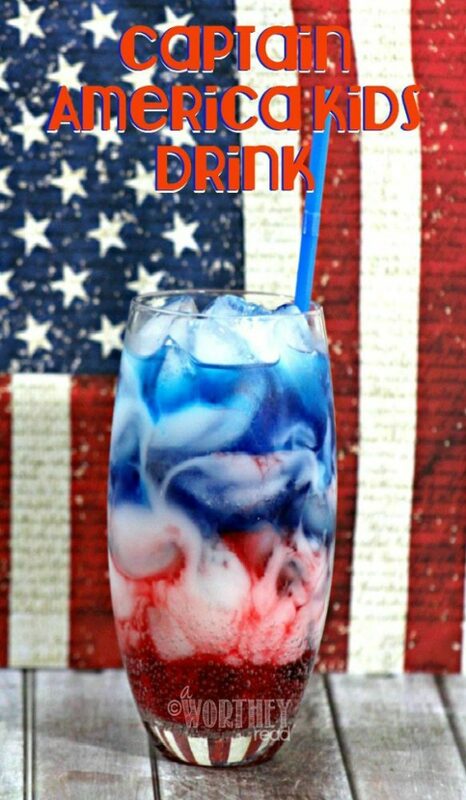 Thank You for featuring my Captain America Red, White and Blue Kids drink! What a great round of ideas! Pinning to my board, thank you!